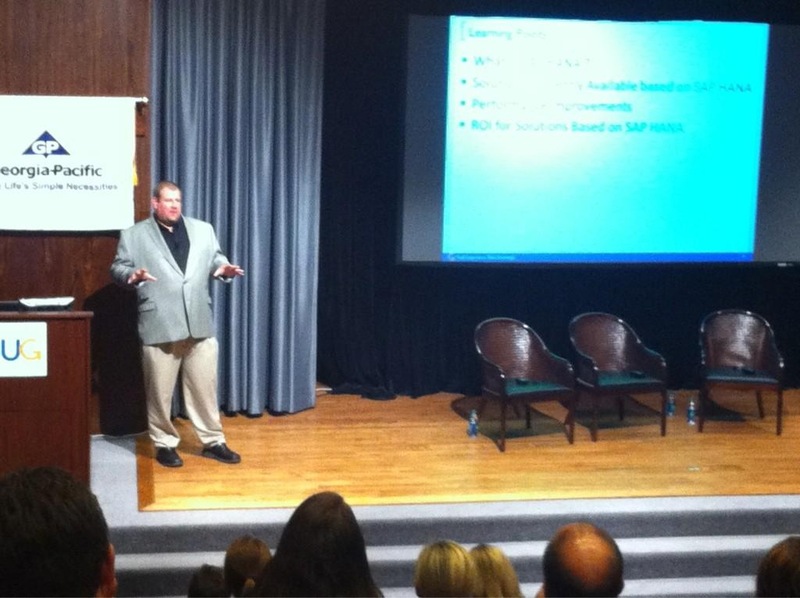 I recently had the opportunity to present the afternoon keynote at the ASUG Georgia chapter meeting. The presentation was given on September 28th 2012. Attached is the presentation (as a PDF) for your review. The presentation is very high level and might not be a great source for a technical understanding of how SAP HANA works. On the other hand, if you are looking to gain a high level overview of SAP HANA and examples of its benefits this presentation will be appropriate. It would also recommend you scroll down and review the comments or make comments if you have any questions. Please note that your email address is not exposed to the public when leaving a comment. Thanks for excellent presentation. I loved it but have few questions for my understanding purposes. Slide 9/10/11: Could you share data volumes tested like how many records in BW, Cells in BEx and BOBJ ? Slide 12 : Could you compare the cost of SAN Memory vs HANA as you mentioned SAN is expensive ? Slide 12 : Can HANA play any role to improve performance with NLS (assume NLS for BW on HANA) as data is not InMemory ? Slide 13 : HANA also has overhead similar to Legacy DB Overhead & Change Log, why they were not included here ? First, SAN (Storage Area Network) is for persistent storage not memory. The client had invested well over 1 million dollars in several large 20-50 TB NetApp SANs that incorporated both magnetic 15K SAS drives and SSD for fast caching. They had several BW environment for regression and life-cycle testing purposes which required multiple devices. The large and fast SAN was implemented to help improve the performance of the underlying DB2 RDMS that was running BW. As you can see from the slides, hardware alone was not enough to make BW running on DB2 faster. The initial cost and maintenance of the SAN was more than the initial cost and maintenance of each SAP HANA multi-server cluster. Over time they would need to keep buying new SAN devices or upgrading the SAN. However, the cost to performance gain was starting to move in the negative. Performance was decreasing (as data volumes increased) while costs for the SAN increased. At another client site we also found that the software and maintenance cost of Oracle exceeded that of the software, hardware and maintenance cost of SAP HANA. Each client will be a unique case but the slides were intended to point out a few obvious cost saving areas to look for. When you combine that with the performance gains and user experience, BW on SAP HANA is a winner. There is a difference in BW powered by SAP HANA. Check out Dr. Bjarne Berg of Comerit and Penny Silvia of IBM interview with Scott Wallask, SAPexperts editor for more information.